Golden acacia honey with pieces of Italian spring white truffle. This delicious combination can be included on a cheese plate, it works particularly well with blue cheese, ricotta and Parmesan Cheese. It can also be used to marinate or glaze chicken and makes a unique dessert if drizzled over vanilla ice cream. This truffle treat comes from a small Italian artisanal producer, who follows traditional recipes, using only fresh local truffles and other high quality ingredients. 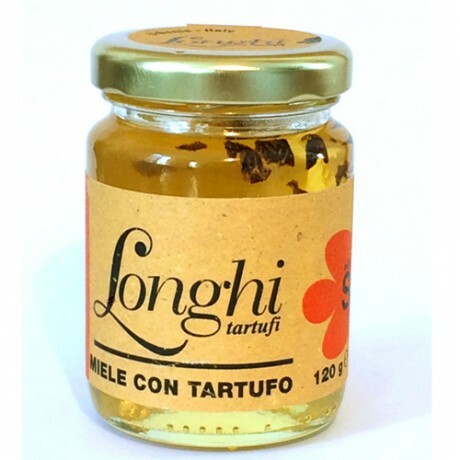 Acacia honey with pieces of Italian spring white truffle, flavours.